To trick tiger mosquitoes into coming their way, one type of orchid produces a scent that’s oddly familiar. At this week’s annual meeting of the Society for Integrative and Comparative Biology, a team of sensory ecologists reported that the scent emitted by the Platanthera obtusata is chemically similar to our own natural body odor. Even though mosquitoes are notorious for being subpar pollinators, this common bog orchid seems to depend on them for reproduction. 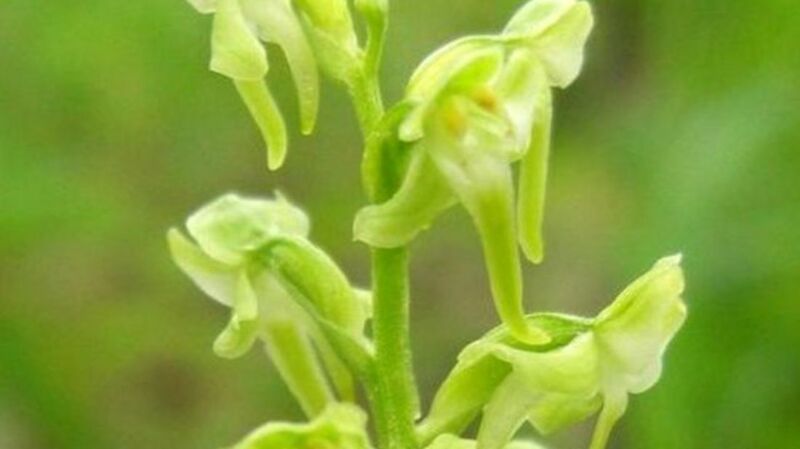 This species rarely interbreeds with nearby Platanthera relatives, so scientists expected it might have found a way to reproduce by attracting unique pollinators. Researchers tested this theory by sealing airtight bags over several orchid varieties and sampling their odors. When P. obtusata’s scent was analyzed, it was found to contain some of the same chemicals that are present in human B.O. If you were to take a whiff of one of these plants, the scent wouldn’t necessarily remind you of a locker room. The orchid’s stench is barely noticeable to humans. But it was shown to stir electrical activity in a mosquito's antennae. This supports the possibility that the scent is primarily meant to lure the insects in. Researchers are conducting additional behavioral tests to verify the theory. Further studies could help us make more effective mosquito traps in the future.